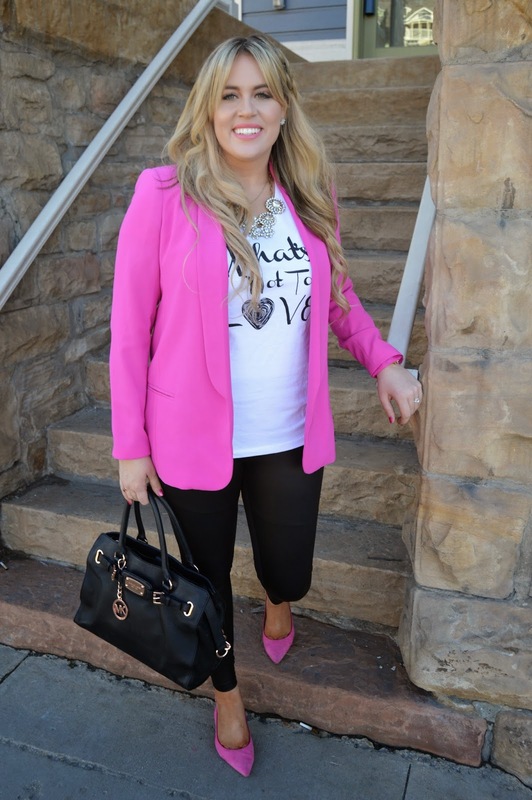 via Shop Bryn Nicholle and pops of pink in the form of your new obsession blazer and your pointed heels. I love this Valentines outfit for running around with your one true love during the day on Saturday. You can easily take this look from Day to night by layering a necklace and switching the leggings out for a faux leather skirt.